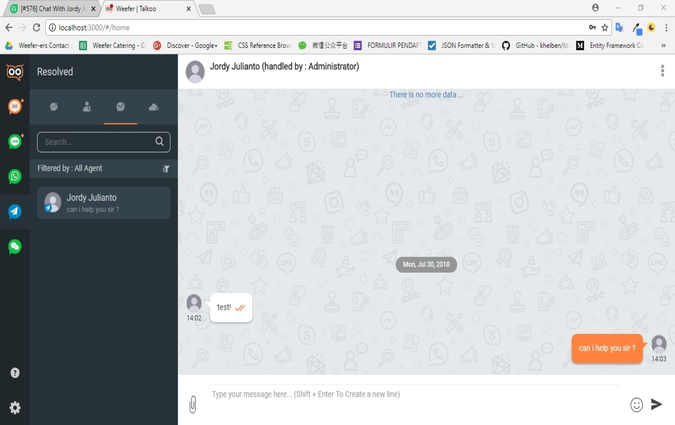 Talkoo for Freshdesk, allows you to fetch instant messenger conversations from Talkoo and create Freshdesk tickets. You can then reply to customers either via email from Freshdesk or you can initiate Talkoo for chat reply. 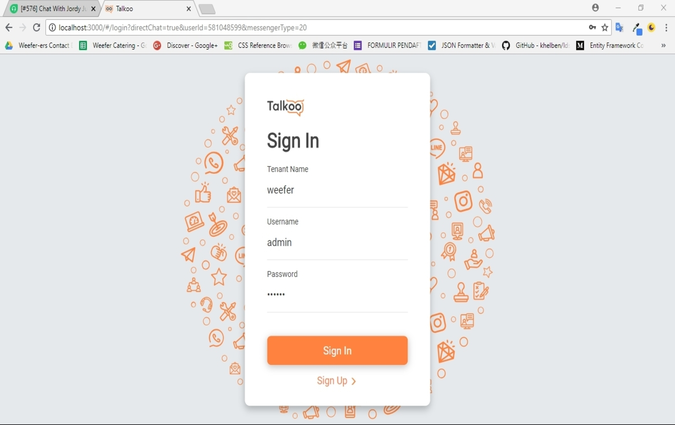 Nowadays customers prefer using instant messaging apps like Line or Telegram and by using Talkoo, your company can support customers faster and better from multiple IM channels in one platform. We have exclusively integrated Talkoo with Freshdesk for better tracking of issues and escalations. 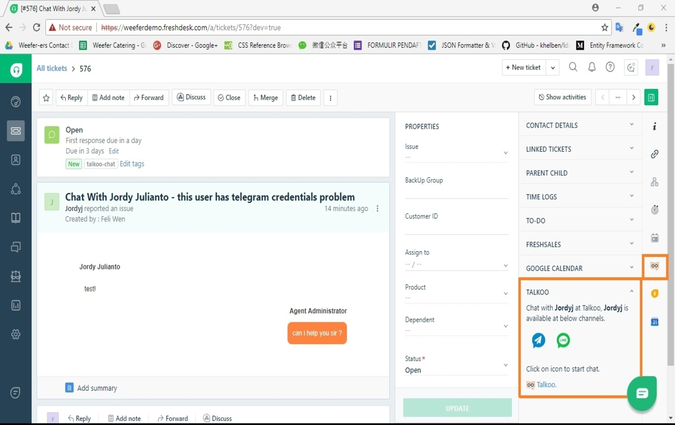 With this integration, you will able to use instant messaging as a channel for customers to reach out for support. You can easily integrate Talkoo with Freshdesk. Information Required:  Freshdesk Helpdesk Name, Freshdesk API Key and Talkoo's Tenancy Name. 1. Login to your Freshdesk Account. 2. Get your helpdesk name from the Freshdesk URL. 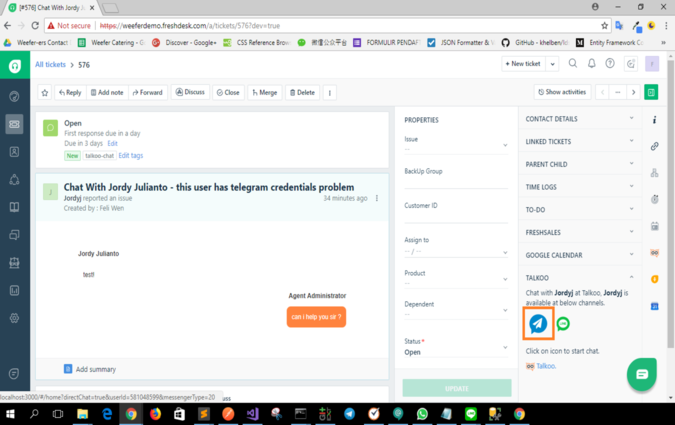 For example, the URL is [talkoo].freshdesk.com, your helpdesk name will be talkoo. 3. Click on your Profile Picture on the top right and select Profile Settings. 9. All done! Just go to the ticket details page in Freshdesk and watch the magic!